Breaking News: Nikon goes full frame mirrorless? 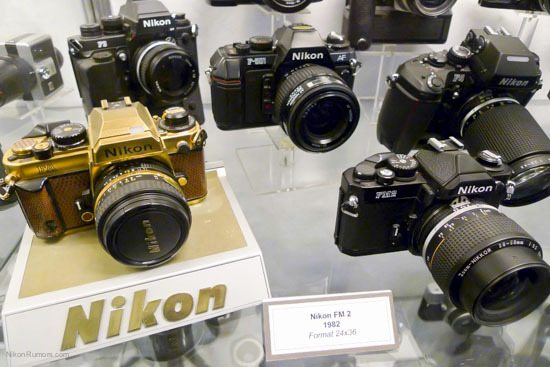 First Sony announces their A7 and A7R, and now Nikon comes with a full frame retro style mirrorless!? This development is more exciting than christmas eve and a birthday party combined! It looks like Nikon's first model will be rather low on resolution, but at least the camera is a step in the right direction. It seems that Canon will soon be all alone with an "half assed" mirrorless product (the EOS M). "Sony sure shook the market with their A7/A7R full frame mirrorless cameras. Many readers have asked me if Nikon will be coming with something similar. I have mentioned in the past that I expect a third mystery camera this year that will have a retro design (something like the Olympus OMD). The new full frame camera will most likely be mirrorless, but it will have some kind of a special (hybrid?) viewfinder. I am also not yet sure if it will have a regular F-mount or a newly designed mount. The announcement will be in the next 2-3 months, but it could happen as soon as next week during the PDN PhotoPlus show in New York. Stay tuned for more details." 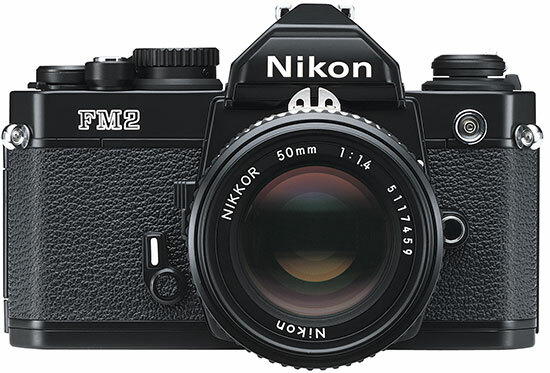 Pic of the old FM2 from 1982. An updated rumor suggests that the camera isn't mirrorless, and 765g is way too heavy i.m.o. Might as well be a traditional DSLR then. Oh well, at least SoNikon is doing something new, and I really don't expect Canon to answer their latest innovations. Canon thinks their company exists in isolation. I jumped the gun. Looks like Nikon still not brave enough to lose the mirror. I like the design though. If it only had been smaller, lighter, higher res, and mirrorless. I did find the M to be half assed by Canon but I love mine now after ML. Where else can you get a APS C body with a sharp prime lens and the ability to take raw video for $300? Thanks to magic lantern of course, no help from Canon there. Also with dual ISO it now matches Nikon/Sony's dynamic range. The half assed EOS-M is my favorite camera... Good on Nikon for their new release. FF will be great but will increase the camera size a bit. That somewhat negates a main mirrorless advantage. I'm not gonna get into a debate about the EOS M, but regarding your statement marked in bold..
Why is mirrorless better than mirrored? Also, that retro design is lovely. Wish canon would do something like that! A valid argument, but more so if you are a Nikon-shooter and have access to the D800. The main excitement for us Canonites is the fabulous sensor. We are finally able to use our EF-glass on a high resolution / high DR sensor. I think that is what most people are excited about. The smaller size and weight is truly just a bonus. And yes, it is smaller and lighter. Canon's 5D3 (950g) and 6D (770g) are substantially bigger and heavier than the Sony A7R (475g).. The 5D3 is 100% heavier than the Sony A7R. I get that some people like the Nikon/Sony sensors, but why all the hoopla over a mirrorless camera that has none of the advantages that its fans claim for mirrorless? They're rumors, I'm doubting that this camera is even mirrorless.